Downloaded from Rapidshare and installed the 32 version. Even this basic product need a duble layer DVD. I suppose if after deleting other languages folders (for english language only users) it will fit in a single layer DVD. Autodesk® AutoCAD is a CAD (Computer Aided Design or Computer Aided Drafting) software application for 2D and 3D design and drafting, developed and sold by Autodesk, Inc. Initially released in late 1982, Autodesk® AutoCAD was one of the first CAD programs to run on personal computers, and notably the IBM PC. Most CAD software at the time ran on graphics terminals connected to mainframe computers or mini-computers. AutoCAD is a world leader in solutions for 2D and 3D design. As more graphic, 3D modeling can expedite the design work and production of documentation, share models and develop new ideas. For thousands of AutoCAD available add-ins, which will meet the needs of a wide range of clients. New features of AutoCAD 2011 is called a true technological breakthrough, which will please many millions of users of this software. * Reduce time spent by a parametric drawings. Parametric designs can significantly reduce the time of inspection projects. There is the possibility of defining relationships between objects - for example, parallel lines will automatically remain parallel and concentric circles always have a common center. * Artistic freedom: work with arbitrary shapes. Now you can implement any ideas of the project, giving free rein to creative thought. To create complex shapes simply move the face, edges and vertices. * Improved support for PDF. Transmission and re-use data were surprisingly comfortable and easy thanks to an improved format support PDF. Became smaller size of the published files, added support of TrueType. New import and use as substrates allow you to add PDF-files directly in the drawings AutoCAD. * 3D printing of models AutoCAD. You can not just visualize the projects, but also make them a reality. Physical models of the projects are created by the withdrawal of a 3D printer (your own or belonging to a specialized company that provides services, 3D printing). * Ease of creating and editing dynamic blocks. Introduced improvements have helped to simplify the creation and editing of dynamic blocks. With an improved display and the allocation of objects, tools, work with dynamic blocks significantly reduce the time required to issue documents. * Production of documentation. Effective means of documentation in AutoCAD cover all stages of the project - from initial sketches to the final stage. The automation, data management and editing minimizes the number of repetitive tasks and save time. * Binder. Structuring the data - not a luxury but a necessity. AutoCAD Sheet Set Manager organizes lists of drawings, makes the publication, automatically creates views of the sheets, passes data from the filings in the major labels and stamps. All necessary information is collated, which greatly simplifies access to it. * Annotation Scaling. You can speed up the management of objects placed on different layers. With the zoom feature annotations created annotative single object, which automatically takes the size of a viewport or model space. * Operations with the text. Manipulation of text input is its visual placement and scaling. Adjust the position of text can be the means of the familiar text editors (paragraphs, columns, etc.). * Creating and editing multivynosok. You can easily create and edit callouts. Setting styles multivynosok ensures their uniformity allows you to combine several lines into one Multileaders callouts, include callouts framework and components. * Working with tables. With the help of AutoCAD functions can be automated and painstaking process of creating and editing tables. By installing an appropriate style tables at once set the font, color, borders and other properties. * Extract data. Data Extraction Wizard allows you to quickly extract data from drawings of objects (including components and attributes). Then these data can be automatically output to a table or external files. * Link Excel data with the drawings AutoCAD. In establishing the connection between the Excel spreadsheet and AutoCAD drawings provided bi-directional data update. This eliminates the need to separately edit the table. All information is automatically synchronized. * Dynamic blocks. The use of prefabricated elements can save considerable time. Dynamic blocks relieve users from having to redraw repetitive standard components and support bulky library of blocks. They have the ability to edit individual objects, thereby avoiding the need to create a new unit, if the shape or size have changed slightly. * Office of the layers. Creating and editing layer properties are now done faster and with fewer errors. Changes in the dialog box, work with layers, are immediately visible in the drawing. * Dynamic prompts and menus. Focus on your work rather than on tools. Dynamic Typing the command line are displayed near the cursor, so you can run commands, view the size and type values, not being distracted by the command line. Quick Properties menu allows you to view and modify the necessary properties of objects, simply bridging the mouse over them. * User-friendly interface. Now it is much easier to work with multiple files simultaneously. Quick view operates not only file names, but their samples. It simplifies finding and opening the desired file on the correct tab. The new browser-menu you can navigate through files and examine the samples to obtain information about file size and file creator. * The distribution has been tested and fully functional. For some versions of posted AutoCAD products the only solution is to copy the content of DVD to HD and install from there. 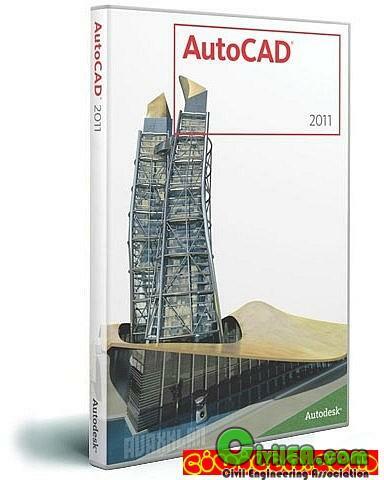 The same was for some of 2010 AutoCAD. This behavior is not related to the language of installation.